The Funeral Home was founded in 1917 by Ward Stutz and Jesse Sando. In 1939 the firm moved to its current location on Main St. In 1941 Harold Kreitzer moved from Brookville to Arcanum to help in the business. After serving in the Navy, Harold came back to Arcanum with his wife Tootie. He was licensed as a Funeral Director/Embalmer in 1947. Harold bought the business from Mr. Stutz (his great uncle) in 1950. After graduating from Miami University his son, Michael, went to work at the Funeral Home. In 1973 he was licensed. In 1981 Harold incorporated the business with his wife and son as stockholders. Mr. Kreitzer died in June, 2008. 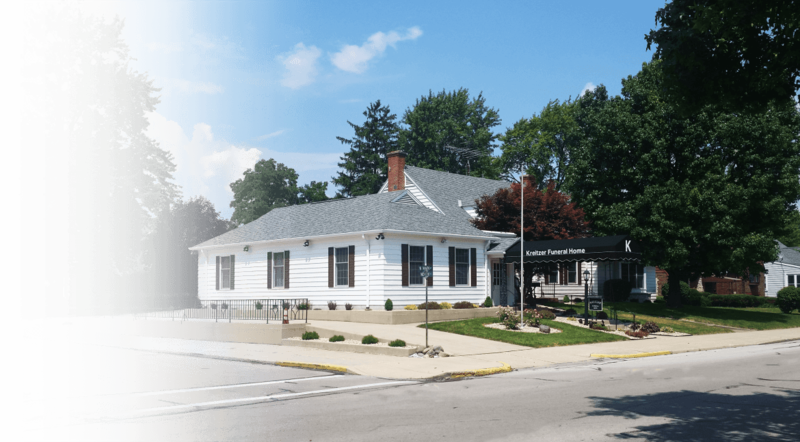 In August of 2016 Michael retired, turning over the funeral home to Dave Fellers of Brookville, Ohio. Kreitzer Funeral Home is now owned locally , and operated by, David Fellers, Matthew Fellers, and Kyle Turner. We hope to continue to serve and honor our community and the families we meet.